Theodore Maly, the son of a government official, was born in Timişoara, Romania, in 1894. A Romanh Catholic he studied theology and philosophy with the intention of becoming a priest. On the outbreak of the First World War he joined the Austro-Hungarian Army. Maly attended Military Academy and graduated in December 1915. He told Elsa Poretsky, the wife of Ignaz Reiss: "During the war I was a chaplain, I had just been ordained as a priest. I was taken prisoner in the Carpathians. I saw all the horrors, young men with frozen limbs dying in the trenches. I was moved from one camp to another and starved along with other prisoners. We were all covered with vermin and many were dying of typhus. I lost my faith in God and when the revolution broke out I joined the Bolsheviks. I broke with my past completely. I was no longer a Hungarian, a priest, a Christian, even anyone's son. I became a Communist and have always remained one." Maly's military unit was captured by the Russian Army and he spent the remainder of the war in Russia as a prisoner of war. He was released after the Russian Revolution and became an active supporter of the Bolsheviks. He was eventually recruited into the Combating Counter-Revolution and Sabotage (Cheka). This was later renamed People's Commissariat for Internal Affairs (NKVD). The Foreign Department (INO) of the NKVD responsible for overseas operations. Alexander Orlov the Chief of the Economic Department for Foreign Trade helped to change policy concerning spies. Up until this time, most Soviet agents were usually diplomats. In this way NKVD officers enjoyed the protection of diplomatic immunity. However, the opposing intelligence service had little difficulty identifying the agents and therefore could minimize their effectiveness. Orlov's idea was to employ what became known as "illegals" as agents. In 1932 Maly became a NKVD officer and joined other "illegals" such as Richard Sorge, Walter Krivitsky, Leopard Trepper and Arnold Deutsch working in Europe. Adopting the name Paul Hardt, he was sent to London to build a spy network. Senior MI5 agent, Peter Wright, pointed out: "They were often not Russians at all, although they held Russian citizenship. They were Trotskyist Communists who believed in international Communism and the Comintern. They worked undercover, often at great personal risk, and traveled throughout the world in search of potential recruits. They were the best recruiters and controllers the Russian Intelligence Service ever had. They all knew each other, and between them they recruited and built high-grade spy rings." Maly recruited Kim Philby, Donald Maclean, Guy Burgess, John Cairncross and Anthony Blunt. They were instructed to join right-wing political organizations such Anglo-German Fellowship as Maly knew this is where British intelligence recruited agents. Maly also used his agents to check out other potential spies. For example, Burgess was asked to provide a report on Michael Straight. "Michael Straight, whom I have known for several years... is one of the leaders of the party at Cambridge. He is the party's spokesman and also a first-class economist. He is an extremely devoted member of the party... Taking into account his family connections, future fortune and capabilities, one must suppose he had a great future, not in the field of politics but in the industrial and trading world.... One may reckon he could work on secret work. He is sufficiently devoted for it, though it will be extremely difficult for him to part with his friends and his current activities." Maly was concerned with Straight's links with the Communist Party of Great Britain. For example, he had been giving the party newspaper, The Daily Worker £1,500 a year? 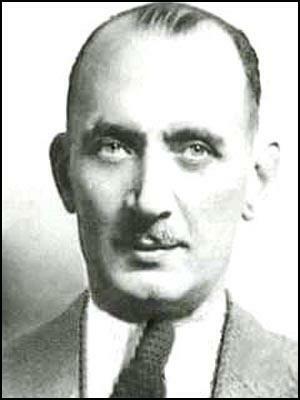 Maly approached Harry Pollitt and asked him for approval of the move from open to covert communist work. Pollitt agreed but refused permission for Straight to stop giving money to the newspaper. In fact, the following year it was increased to £2,000. In December 1936, Nikolai Yezhov established a new section of the NKVD named the Administration of Special Tasks (AST). It contained about 300 of his own trusted men from the Central Committee of the Communist Party. Yezhov's intention was complete control of the NKVD by using men who could be expected to carry out sensitive assignments without any reservations. The new AST operatives would have no allegiance to any members of the old NKVD and would therefore have no reason not to carry out an assignment against any of one of them. 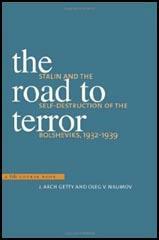 The AST was used to remove all those who had knowledge of the conspiracy to destroy Stalin's rivals. 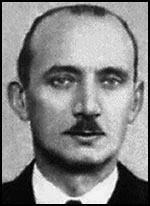 One of the first to be arrested was Genrikh Yagoda, the former head of the NKVD. Within the administration of the ADT, a clandestine unit called the Mobile Groups had been created to deal with the ever increasing problem of possible NKVD defectors, as officers serving abroad were beginning to see that the arrest of people like Yagoda, their former chief, would mean that they might be next in line. Ignaz Reiss, another NKVD agent based in Europe, became disillusioned with the Soviet government after he heard how Gregory Zinoviev, Lev Kamenev and fourteen other defendants had been executed after they were found guilty of trying to overthrow Joseph Stalin. This was the first of the Show Trials and the beginning of the Great Purge. According to Gary Kern, the author of A Death in Washington: Walter G. Krivitsky and the Stalin Terror (2004): "The Zinoviev-Kamenev trial of August 1936 defamed Lenin's confederates, in a sense the founding fathers of that state. When he learned of the trial's monstrous conclusion, the death penalty for all sixteen defendants, he felt he could no longer belong." Reiss now wrote a series of letters that he gave in to the Soviet Embassy in Paris explaining his decision to break with the Soviet Union because he no longer supported the views of Stalin's counter-revolution and wanted to return to the freedom and teachings of Lenin. "Up to this moment I marched alongside you. Now I will not take another step. Our paths diverge! He who now keeps quiet becomes Stalin's accomplice, betrays the working class, betrays socialism. I have been fighting for socialism since my twentieth year. Now on the threshold of my fortieth I do not want to live off the favours of a Yezhov. I have sixteen years of illegal work behind me. That is not little, but I have enough strength left to begin everything all over again to save socialism. ... No, I cannot stand it any longer. I take my freedom of action. I return to Lenin, to his doctrine, to his acts." These letters were addressed to Joseph Stalin and Abram Slutsky. Mikhail Shpiegelglass told Maly and Walter Krivitsky that Reiss had gone over to the Trotskyists and described him meeting Henricus Sneevliet in Amsterdam. Maly and Krivitsky tried to contact Reiss. Recently released NKVD files show that Shpiegelglass ordered Maly to take an iron and beat Reiss to death in his hotel room. Maly refused to carry out this order and criticised Shpiegelglass in his report to Moscow. By the summer of 1937, over forty intelligence agents serving abroad were summoned back to the Soviet Union. This included Maly. He realised his life was in danger and in July had a meeting in Paris with his old friend, Alexander Orlov. According to Edward P. Gazur, the author of Alexander Orlov: The FBI's KGB General (2001): "At their meeting Maly was totally depressed and his mood sombre. He spoke of three other Hungarians who, like himself, had been captured by the Tsarist Russian Army during the First World War and were later converted to Communism. They had also joined the Russian intelligence apparatus and had been arrested in the recent purges and executed. Maly surmised that his fate would be the same as he did not see an alternative reason for his recall. It was at this juncture that Orlov stated that he could not understand why Maly would even consider returning to Moscow and cautioned him against doing so. Unlike the others, Maly had no relatives or close personal ties in the USSR, and he was not even a Russian. In Orlov's eyes, his return to Moscow was not justified by any means." Despite the advice given by Orlov he decided to return to Moscow. In his book, The Defence of the Realm: The Authorized History of MI5 (2009), the historian, Christopher Andrew, has pointed out that Maly told a colleague: "I know that as a former priest I haven't got a chance. But I've decided to go there so that nobody can say: That priest might have been a real spy after all." Theodore Mally was executed on 20th September 1938. Theodore Maly: During the war I was a chaplain, I had just been ordained as a priest. I was taken prisoner in the Carpathians. I saw all the horrors, young men with frozen limbs dying in the trenches. I was moved from one camp to another and starved along with other prisoners. We were all covered with vermin and many were dying of typhus. I lost my faith in God and when the revolution broke out I joined the Bolsheviks. I broke with my past completely. I was no longer a Hungarian, a priest, a Christian, even anyone's son. I became a Communist and have always remained one. After the necos raid in London in 1928, where M15 smashed a large part of the Russian espionage apparatus in a police raid, the Russians concluded that their legal residences, the embassies, consulates, and the like, were unsafe as centers for agent running. From then onward their agents were controlled by the "great illegals," men like Theodore Maly, Deutsch, "Otto," Richard Sorge, Alexander Rado, "Sonia," Leopold Trepper, the Piecks, the Poretskys, and Krivitsky. They were often not Russians at all, although they held Russian citizenship. They were Trotskyist Communists who believed in international Communism and the Comintern. They worked undercover, often at great personal risk, and traveled throughout the world in search of potential recruits. They were the best recruiters and controllers the Russian Intelligence Service ever had. They all knew each other, and between them they recruited and built high-grade spy rings like the "Ring of Five" in Britain, Sorge's rings in China and Japan, the Rote Drei in Switzerland, and the Rote Kapelle in German-occupied Europe-the finest espionage rings history has ever known, and which contributed enormously to Russian survival and success in World War II. Unlike Philby and Burgess, Blunt never met "Theo," their first controller, a former Hungarian priest named Theodore Maly. Maly understood the idealism of people like Philby and Burgess, and their desire for political action. He became a captivating tutor in international politics, and his students worshipped him. In 1936-37 Maly was replaced by "Otto," and it was he who orchestrated Blunt's recruitment by Burgess. Like Theo, "Otto" was a middle-class East European, probably Czech, who was able to make the Soviet cause appealing not simply for political reasons but because he shared with his young recruits the same cultured European background. Blunt admitted to me on many occasions that he doubted he would ever have joined had the approach come from a Russian. The summer of 1937 would be a disaster for KGB officers serving abroad. Forty officers were recalled to Moscow using various pretences. The least difficult to lure back were those with families still residing in the Soviet Union. All KGB personnel were well aware of Stalin's promulgated law of 8 June 1934, which held the families of military deserters accountable for their deeds and made them subject to banishment to one of the Siberian gulags. The KGB took the decree one step further by adding KGB officers who fled the country or failed to return to the homeland from a foreign assignment. The officer's closest relative would be subject to ten years' imprisonment or, in the case where the officer divulged state secrets, the death penalty. Those KGB officers with families at stake in the homeland therefore obeyed the order when it came. 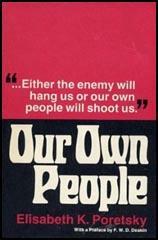 All knew that they had a difficult decision to make, even those with no strong family ties at home, for the KGB had the benefit of highly placed nationals on its payroll in each of the countries where a defector might wish to hide; these nationals could then ferret out the defector's location for the Mobile Groups to finish the job. Those returning voluntarily did so with the expectation that the mere act of returning would give the impression of loyalty and fortify their innocence of any transgressions against Stalin's regime. Of the forty KGB officers who were recalled that summer, only five decided not to return. Of those KGB officers who chose to return, the most memorable and pathetic to Orlov was Theodore Maly, whose operational code name was Mann. Maly was one of the best illegals who worked in the capitals of Europe during the early and mid-1930s. His reputation with the KGB was one of capability, and he was well liked and respected not only by his peers but by his superiors. Maly was actually Hungarian by birth and education and had no blood ties to Mother Russia. Prior to the First World War, he had studied for the priesthood and when war broke out he had joined the Austro-Hungarian Army as a chaplain. His military unit was captured by the Russian Army and he spent the remainder of the war in Russia as a prisoner of war. He was in Russia during the Revolution and, as a consequence of his exposure to Communism, had become an agnostic and a member of the Communist Party. Following the great Russian upheaval, the Party assigned Maly to the OGPU, where he became affiliated with the Counter-Intelligence Department. Subsequently Maly was assigned to the Foreign Department, where his personal assets came to the surface. His manner and appearance were that of a "Continental" European rather than an inhabitant of any one particular country. He could easily pass as a national of any of the Central European countries and spoke fluent German, Hungarian and Russian. His ability to make and keep friendships in his target countries was amazing and to a large degree made for his success as an illegal. However, in spite of a long list of achievements in the field, he could never quite escape an inferiority complex brought on by his earlier endeavour to become a priest. Maly never felt accepted by his co-associates and believed that they held him to be inferior because of his failure as a priest. Maly was ordered back to Moscow from an assignment abroad in July 1937. En route to Moscow, he met Orlov in Paris, where they discussed his plight and the turn of events that affected other KGB officers in the same predicament. Orlov later acknowledged that he had known Maly personally since the late 1920s and that they had worked together as illegals in countries that he did not specify. Orlov made it crystal clear that he considered Maly to be a close and trusted friend, and further described Maly's services to the KGB as of the highest order. Years later, I would learn that Maly was responsible for running the Cambridge Group of spies in England in the mid-1930s. Today there is no doubt in my mind that Maly was returning from a covert operation in England en route to Moscow when he stopped over in Paris to meet Orlov. At their meeting Maly was totally depressed and his mood sombre. He spoke of three other Hungarians who, like himself, had been captured by the Tsarist Russian Army during the First World War and were later converted to Communism. They had also joined the Russian intelligence apparatus and had been arrested in the recent purges and executed. Maly surmised that his fate would be the same as he did not see an alternative reason for his recall. It was at this juncture that Orlov stated that he could not understand why Maly would even consider returning to Moscow and cautioned him against doing so. Unlike the others, Maly had no relatives or close personal ties in the USSR, and he was not even a Russian. In Orlov's eyes, his return to Moscow was not justified by any means. Unfortunately, Maly did return to Moscow, where he took up an assignment in the KGB's Foreign Department. For the next few months, he plodded along in his unobtrusive manner without attracting any special notice to himself. Perhaps his past achievements and loyalty to the KGB, as well as the fact that he was not a Russian, let him escape the executioner. Even his co-workers at the KGB Centre came to believe in Maly's good fortune, but to no avail as that November he suddenly disappeared from his work area and was never heard of again. Orlov admitted that he grieved on learning of Maly's disappearance but that he had never fully understood Maly's reason for returning. He understood Maly's sense of inferiority and his desire to prove his loyalty to the cause, but these were minor considerations when it came to giving up his life. The network was, paradoxically, saved from more serious damage by Stalin's Terror, which was at its peak in the Soviet Union in 1937 with, at the very least, a third of a million executions and the largest peacetime concentration camps in European history. After Trotskyists, the largest number of alleged "enemies of the people" to be pursued abroad by the NKVD came from the ranks of its own foreign intelligence service. In the course of 1937 all the Soviet intelligence personnel who had taken part in the Woolwich Arsenal case were recalled to Moscow and were thus out of Britain when the arrests took place in January 1938. In the paranoid atmosphere of the Terror, Teodor Maly's religious background made him an obvious suspect He accepted the order to return to Moscow in June 1937 with an idealistic fatalism, telling a colleague, "I know that as a former priest I haven't got a chance. But I've decided to go there so that nobody can say: That priest might have been a real spy after all."